I was going to suggest this as well, i dont know alot about 3.8 to 4.2 swaps but i know i've seen it done in mustangs and i'd imagine the 4.2 is probably cheap and a bump in displacement has never hurt anybody (besides at the pump). Mustang50 and edizzle89 you are correct a rebuilt stock 4.2 would be a much lower cost option. Some quick research on the interblag indicates that would cost roughly $2000. Further research indicates my existing 3.8 already has more power than a stock 4.2 (I estimate Mistress generates in the 230 to 240 HP range based on air flow measurements - although at the moment it makes zero power). However, with the addition of my existing camshaft, ported intakes and replacing the damaged head with new ported one the 4.2 would absolutely make more. Extra cost about $1200 for head, gaskets, etc. So - Total cost of a re-built stock 4.2 with the existing modifications transferred to it would come in somewhere about $3200. It might not even need a new tune ($150)! I could easily justify going this route. It makes a lot of sense! However, one of the goals listed long ago was to move to a Pro-charger, probably of the 7 - 9# boost variety. For a robust build (I hate tow trucks) this should be combined with forged internals, low friction coatings on piston skirts and all that rot. That is part of the driver for going with a full hardened rebuild of the existing engine. The dropped valve has simply moved up the timeline (and cut my season in half). And if you are going to do all that work the data shows it should be a stroker. The stroker will put out something like 30 to 40 Ft-Lbs more torque depending on whose data you want to believe. 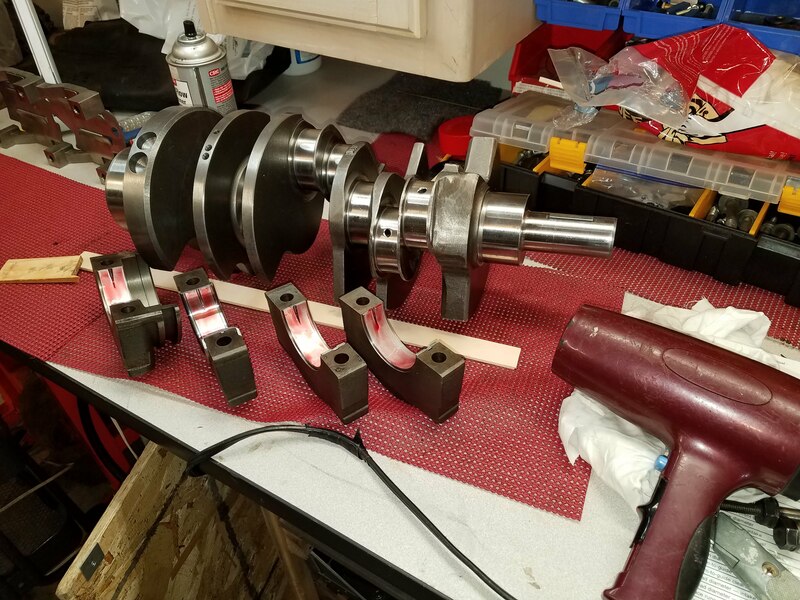 Cost for this rebuild - Forged parts, stroker crank, etc. about $5000. 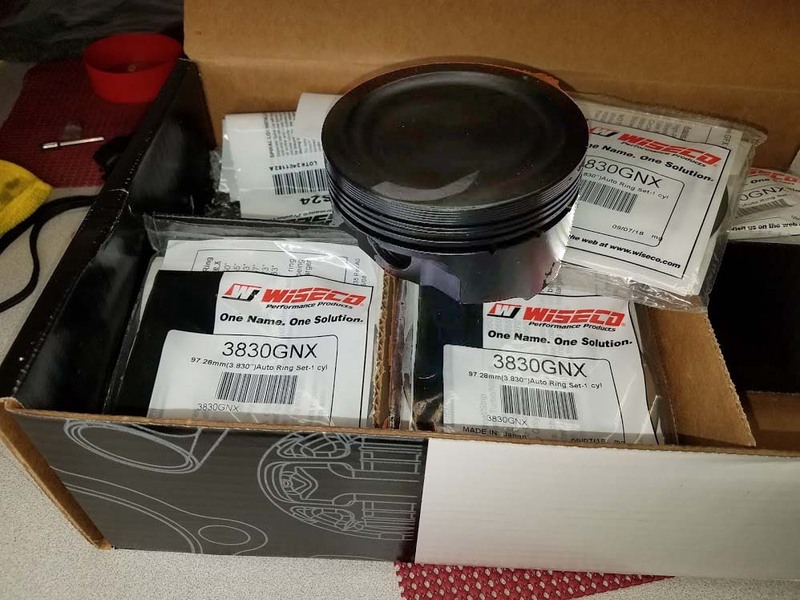 Gaskets, ARP Studs, replacement head, etc. another $2000. Machining $500. This build will cost $7500 or so. Lot of money, will require interest payments ( I hate that). 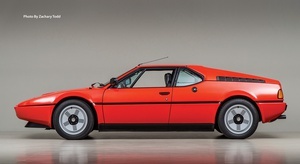 The resulting 3.8 ltr should have as much or more mid range torque as a GT of the same era (it already has about the same power) and it is lighter and better balanced. It will be fully hardened and prepared for the power adder if I ever really add that (another $6k someday). When I write up the article on driving the friends GT with my tires it will show some interesting results with tire limited cars on an autocross course. There is a reason people are putting 13" wide rims on the back of these things. The result is Mistress should be a robust build good for long trips in the moonlight and afternoon delights (also known as one minute arguments) on course. I have been working 70 hour weeks the last three months on a horrible project from hell that has finally wrapped up. As a result, progress has been slow but now I can get my life back and put in some updates here. Engine has been pulled out of Mistress and torn down to the block. I was able to pull the block with the hood still on using a rental engine jib from the local hardware/rental. I borrowed an engine stand from a friend at work and set about disassembly of the block. Parts are stored in cupboards and the trunk. 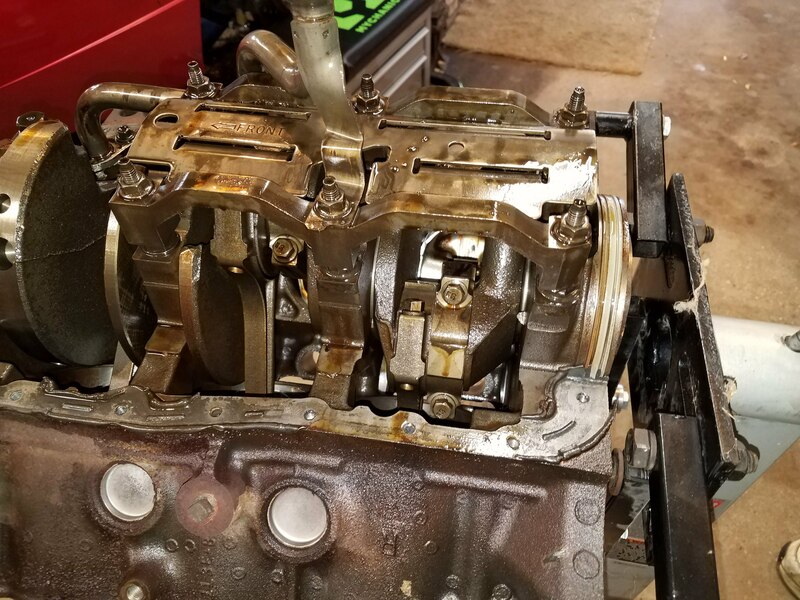 Initial inspection during disassembly indicated a large hole in piston #3 (but we knew that), aluminum shrapnel everywhere with some larger bits in the oil pan. #3 cylinder bore looked very good with no marks or scoring. It appears the dropped valve stayed in the center for the 10 or 15 seconds the engine ran after failure. One noteworthy observation is that the cam bearings were very worn. They were not like that when that cam went in two years ago. Not sure what to think about that (comments/wisdom?). Everything else looked OK for an engine with 180k miles on it. I made a wood frame for transport and took the block down to Manitowoc Engine Machining and Parts. They have cleaned & inspected it, ran a magniflux check for cracks. 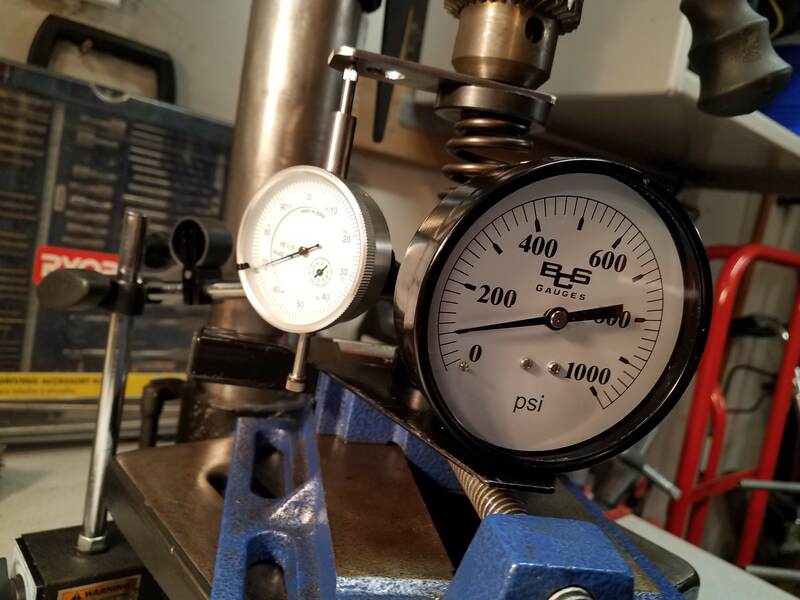 Their measurements indicate that a minimal clean up of 0.020 overbore will be all that is necessary. Now they will hold it until the parts arrive. Stage 3 cylinder head omit spring/lox/retainers (replacing the old one and 12 new valves). This will yield a slightly higher compression ratio but still allow 93 octane pump gas (91 octane if I retard the spark a couple of degrees per my tuner at VMP). I do not know yet if I will need a new tune. Pistons and rods are forged. 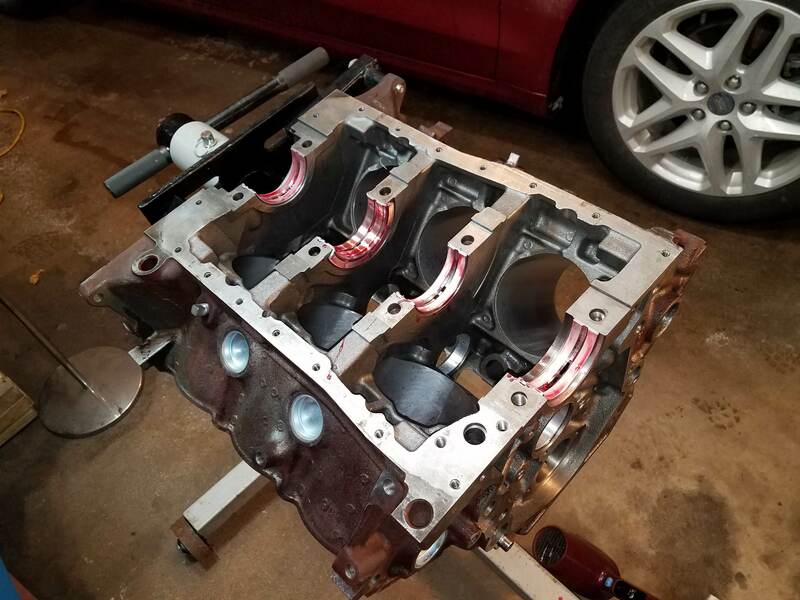 This will be 4.2 displacement give or take depending on how the block is decked, gaskets and all that. 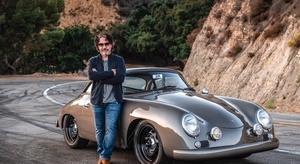 Total cost is $4600 with shipping (Yes - the madness prevails but I really miss driving this grin maker of a car). The Block work will be about $450 and I will have them balance the rotating assembly. I have not asked but that will probably be $150 more or such. With gaskets, etc. I will be all in for just under $6k. Part due to arrive in mid December. I will have the shop insert the rods/pins in the pistons after balancing but I will do the assembly. While I wait: The engine bay needs to be cleaned up, paint the rocker covers, clean all parts, strip the old paint off of the upper manifold & re-paint, etc. I plan to electro coat all/most of the exposed fasteners (Eastwood Kit on order). Lots of little projects now that I can stand in the engine bay (with some difficulty climbing in). Last August, while Mistress sat neglected in the garage with a half torn down engine I drove a friends 2000 GT at an autocross at K. I. Sawyer in Michigan's UP. 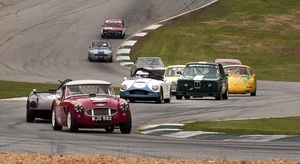 Although this car is the same vintage as Mistress the two cars are very different beasties. Mistress is a heavily prepared car a little low on torque. The loaner is a nearly stock car showing some wear and tear and rides on a thick sticky carpet of torque. Mistress with the modified V6 has an automatic and 373 rear verses "Loaner" with a stock 4.6 2 valve, stick shift with 410 rear. Both cars had my 9" x 17" wheels and RE71R tires. Same surface, similar conditions, same crappy driver, one month apart. Since the courses were different and to help reduce other factors (such as my not having driven stick in several years) I decided to datalog and make simple comparisons between the two cars such as cornering, braking, and acceleration. And I had a blast - thanks Ken! So which car performed better -the stock torque monster or the prepared grocery getter? A year earlier Ken and his son drove this car at an event at Sawyer. Ken beat me and I beat his son. If I recall the three times were all withen a second or so on a 1 minute course. Very close. Since then Mistress got a new front suspension, battery relocation, gears and so on. Acceleration: Loaner averaged about 0.5 G in 1st and all the way through 2nd. Mistress pulled about 0.6 G in 1st and 2nd - dropping off at higher speeds in 2nd. How can that be? Both cars are tire limited and Mistress is lighter. The lower torque only became apparent as rpm got up in range. Put some 11" wide wheels on the back and the results would likely be reversed. Cornering: Loaner held in the sweepers at 1.0 G with moments at 1.1 G. Mistress sustained 1.2 G with moments at 1.3. Granted the tires were slightly newer a month earlier. One G in a full bodied car on sticky DOT tires is pretty respectable but not uncommon. One point two is pretty damn good. Again, Mistress is lighter, better balanced with better better geometry. And it cost thousands of dollars and hundreds of hours of work to glean that lousy 0.2 G. Still, as I detailed in an earlier post this can add up to a second or so on a one minute run. Braking: No test. Loaner had the anti-locks turned off and I believe the rear calipers were sticky from sitting much of the past year (it's a Ford thing). 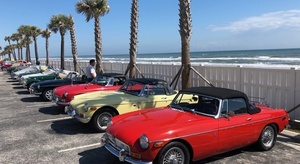 Rear brakes were weak and I could not control the fronts until later runs. I looked terrible out there (or entertaining depending on your perspective) and I think I flat spotted a tire. Unfamiliar car, bad driver, no test. Take away: By the numbers the highly prepared grocery getter should be the faster car on course. But not so much that a better driver in the GT could not easily catch it. Fatter tires would equalize acceleration but that advantage might be reversed on cornering. Then again, Mistress is much easier to drive well. 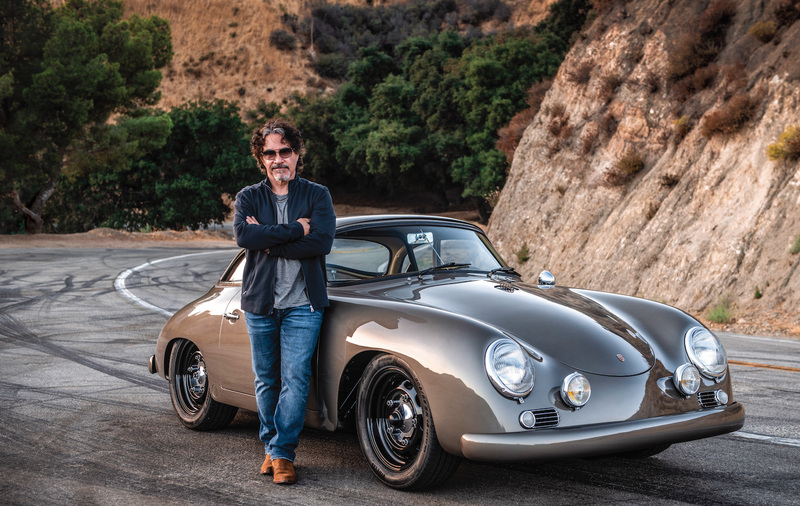 Throttle and brakes are much more forgiving. Less sway and predictable "planted" feel. The GT is a wild tail wagging son of a beast. I guess that is why I had so much fun driving it! What a kick! Thanks again Ken! Update: Engine block is still down at Manitowoc Engine Machine awaiting parts for final machining and balancing. I will also have them assemble the wrist pins and rods to the pistons and then finish the build at home. I am not going to re-install the balance shaft so I will have them drill, tap, and plug the oil holes for it. A new ported, reground cylinder head, main bearings and rod bearings (King), valves, and ARP head studs arrived today from Super Six. I will be inspecting, lapping valves, testing spring rates and assembling this weekend. The rest of the parts are due anytime this month. I have determined that I should replace the hydraulic valve lifters. There is likely nothing wrong with them except they have 180k miles on them and most of the rest of the engine internals will be new. Anyone want 12 stock Ford lifters for cheap let me know. They will fit a Ford 302 and similar engines (probably should be cleaned) (probably not worth the shipping cost). I am going with Trick Flow TFS-21400004 lifters ($8 ea. from Summit). These come well recommended from a couple of sources. I’ll order them after Christmas. On closer inspection of the old cylinder heads I found the tips of all 12 valves are pretty bashed up and worn. Signs of excess rotation and pitting. The rollers on the rockers look fine. Research and discussion indicates this would be either valve spring float or excessive lash. Listening to several run videos and looking at data I see no indication of float and, anyway, the rev limiter has always been set to 5700 rpm. Too low for any float. Most likely excessive lash which leads to pounding the valves closed which leads to breakage. Regardless I intend to have a friend of mine who does this stuff for a living stop by when I get to that point in the build. He will be able to spot if I am doing something wrong. In the mean time, now that work has slowed down to normal I have been planning, planning some more, cleaning up the engine bay, cleaning parts and electroplating bolts and brackets. And we visited the new grand baby in Arizona. I bought a zinc-tin electroplating kit from Eastwood ($75). I have been using it on all the exposed bolts/studs on the front and upper part of the engine as well as on a few smaller brackets, etc. This will brighten up all these fasteners that are rusted, dirty, stained and otherwise nasty. I am not using it on anything internal because – 1 – It might flake off eventually and 2 – No one can see it anyway and this is a lot of work. The finish polishes up to a sort of bright stainless/tin color. Not like chrome but much better than plain steel and they will stay looking good from a long time. Why not replace the bolts? Even for water pumps and alternator brackets most of these things are Grade 5 or Grade 8. They are expensive and you generally cannot buy them at the Hardware anymore. I set up a work space in the basement with a plastic cutting matt to protect the table and where there is water. You must have water nearby. The electrolyte is sulfuric acid, enough to do very extensive, very permanent damage, very quickly. Do not do this if there are kids around – ever. Do not do this if there is not running water immediately nearby – ever. Do not do this if you cannot set up the work space and leave it secure from kids, neighbors, pets (cats), etc. – ever. Do not do this in a place where there are floors, tables, clothes, sinks that you care about – ever. Do not do this if you do not have the patience, discipline and free time to follow through, clean up after each session and dispose of soiled paper towels/rags and used acid properly (eats skin, pipes, metal and, in the right concentrations, glass). I got a small tear in a glove and in a short time it felt like someone was sticking a hot needle in my finger tip. Washed it off, no damage, but it got my attention. 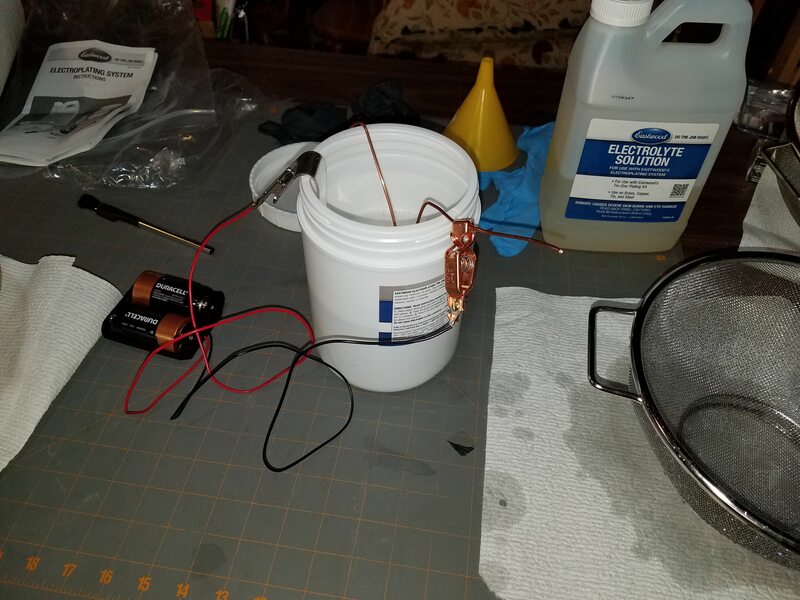 If you pour water into sulfuric acid it will instantly produce an exothermic reaction that will boil, spit acid at you, produce bad fumes and make for a very bad day. Very illegal & stupid to dump used acid (very). Dispose of at your waste collection facility (you will probably have to pay a nominal fee). Sorry that was more than a quick word. Besides the above you will need the safety goggles Eastwood sends with the kit, a box of nitril gloves (many gloves). Several rolls of paper towels and a bagged waste basket. I also bought a set of cheap wire colanders to put parts into and sort through the various stages of the process. Parts below are cleaned but not yet plated. 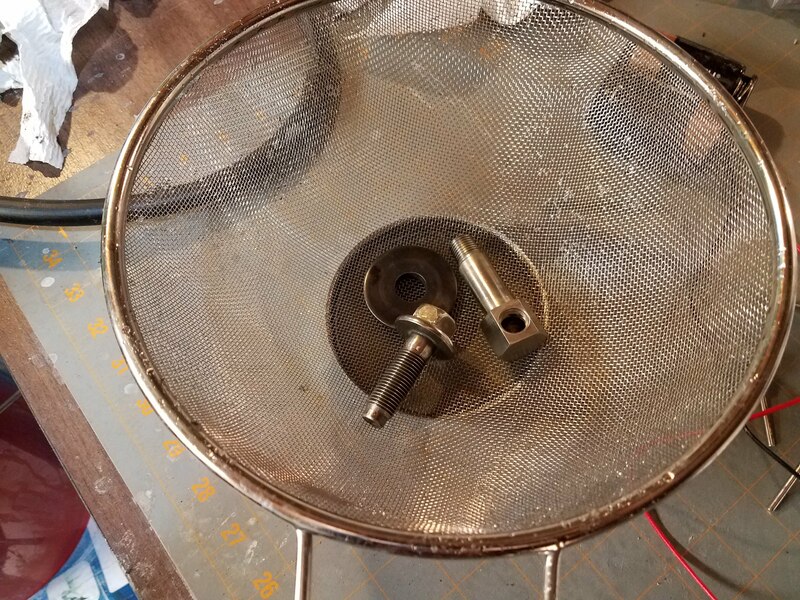 I also bought an Eastwood bucket top parts cleaner to clean up the parts before plating. Works very well for small stuff like this. I even used it in the utility sink to clean the oil pan (pumped & scooped the fluid back into the bucket after use). The cleaning fluid is soap based, not solvent based. You can get it at the auto parts store (Purple Power, etc.). Works very well and you can run that stuff down the drain. This is a slow process with a lot of time spent per part – Probably 10 - 12 minutes per bolt/part in total. First you clean everything up on the bench top wire wheel (a little tricky holding on to small stuff). Then touch up with a wire brush on a Dremel if needed. Then clean – degrease – rinse – switch to nitril gloves – clean-rinse again (no oil from fingers please). 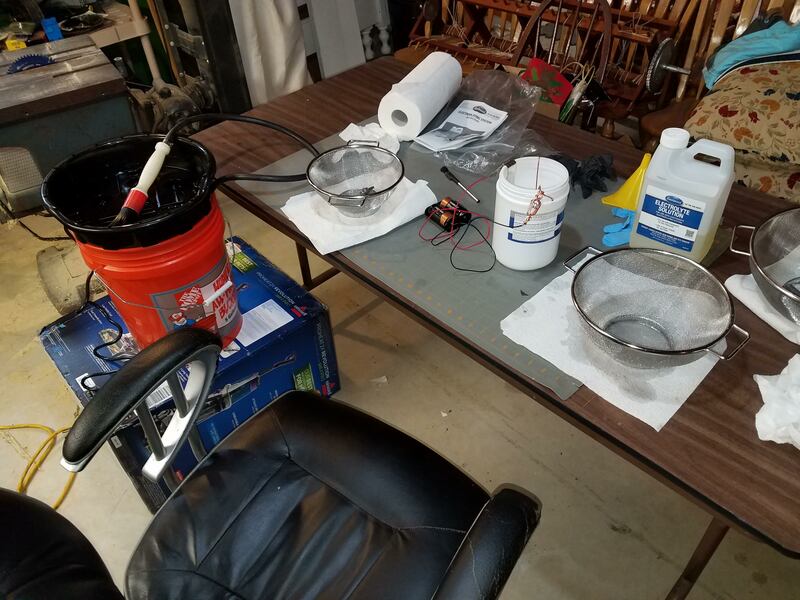 Then electroplating, typically one part at a time. 3 – 4 minutes each. Then flush. Some early parts I did not leave in long enough. You will know very quickly because they will flash rust in spots when they dry. Clean up and plate some more. You can tell the bolts are about done when the threads start to look like they are filling in. They aren’t. The “fuzz” that is forming on the threads washes off. Nuts will still fit, etc. At this point the parts are a dull flat gray. They are rust resistant but not pretty. A few minutes on a bench top buffer wheel with some polish cleans them right up and shiny. I even plugged the hole in my oil pressure sending unit, suspended only the metal part in acid and plated it. Looks better than new. Why you might ask? This engine will be mostly new inside. Shouldn’t it look new-ish on the outside? Besides, it is Wisconsin it the winter and I never got into ice fishing. Can you do colors with steel like you can aluminum? You're doing pretty much the same thing as anodizing aluminum. You can add colors to your acid bath for aluminum, I wonder if it would work on steel parts. Something to research when I'm not falling asleep at the keys. If there is a way to do color with steel I have not heard of it other than the color of the plating material (copper/chrome/zinc/tin). Some quick trolling around the webbernet indicates that anodizing is actually an oxide formed on aluminum that can absorb dyes. Black oxide treatment of steel would be similar but the only color I have seen it is... black. That would be cool though but I think the chemistry is not with us on this one. Excellent work with the plating. Regarding disposal of the acid, you can easily do it yourself. Get a bag of lime from the local hardware/big box store and mix with water. Add your solution to it and test with pH strips until it is neutralized or close. Or leave it alkaline and pour it out on your lawn. I did this recently when I had to acid etch a bunch of concrete countertops. My lawn loved me after. Another update: Started cleaning up the other cylinder head (the good one) and found the exhaust valve guides are very worn. Seats are washed out from valves moving about uncontrolled. That head is just over a year old. Looks like six new guides and, likely, three new seats will be required. 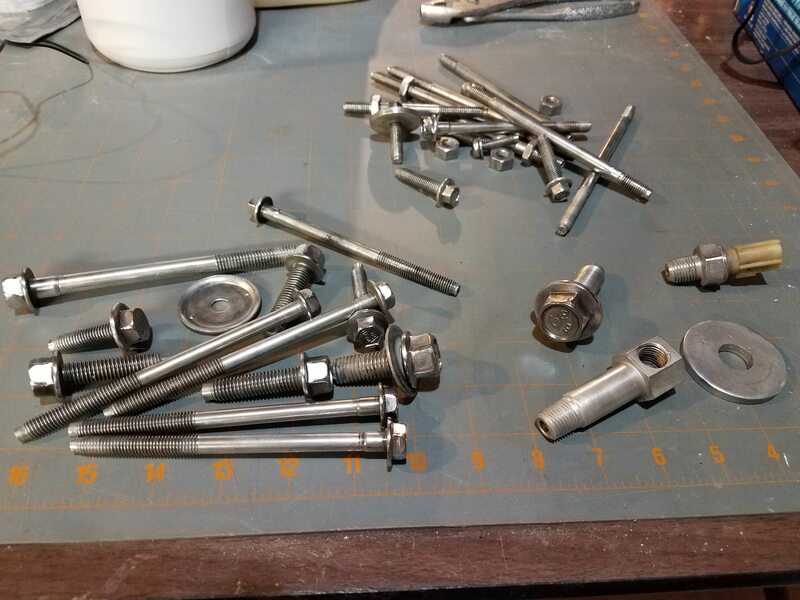 That will be another $300 or so for the machine shop.On the bright side, a good friend (Bill S.) has offered to glass bead clean all the misc aluminum parts and brackets. The engine will look better than new! I like following this project. I enjoyed your tail wagging beast comments in regards to the v8 Mustang. This is the quality I enjoy in them. It’s a blast trying to figure out how to go quick and keep the rear tires behind the front tires. Even though I am pretty sure what caused the engine to fail (see next post) I wanted to remove as many other potential issues as possible. This is especially true with parts that are being reused. That would include the springs. These springs are two seasons old and should be like new. But are they OK... really? According to Tom at Super Six the springs should test at 120# at 1.75” tall (0.468 compression). I bought a valve spring tester and calibration spring from Summit and set it up with my drill press as a fixture. 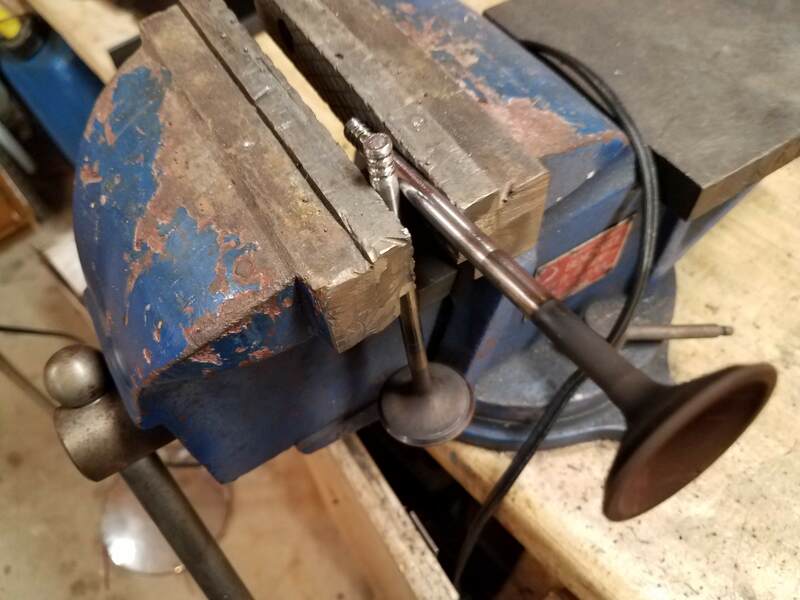 You could use a big vise also but the drill press makes for a nice set up. 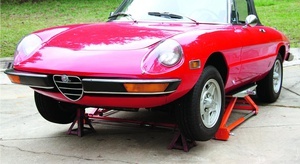 These springs are only a little stiffer and taller that the stock ones. Remember this is not a high revving engine. The tester arrived with a 1000# gauge. I don’t know who has springs that stiff (top fuel dragster or something?). I may get a new gauge for it with a 200# range (Grainger has them). This thing had only 20# resolution. Also, at this low range it read about 30# low. Make sure you get a calibration spring if you use one of these things. With the press set up, note book and calculator at the ready I tested all 12 springs as they were removed. Per this rig they all were 120 to 130 pounds at the test compression. I could get more accurate readings if the tester did not have such a ridiculously large range. However, the rig was very consistent. All springs are within 10# of each other and roughly where they should be. All springs were the same height. All showed no signs of wear or other distress. The springs are good. Reuse the springs. When I get or make a test instrument like this I like to also get a good place to keep it. Michaels or Hobby Lobby sell nice little wood boxes that can keep these instruments safe and clean in the cabinet where you can find them. It might be years before it is needed again. I had to add a little height to this on to make everything fit. 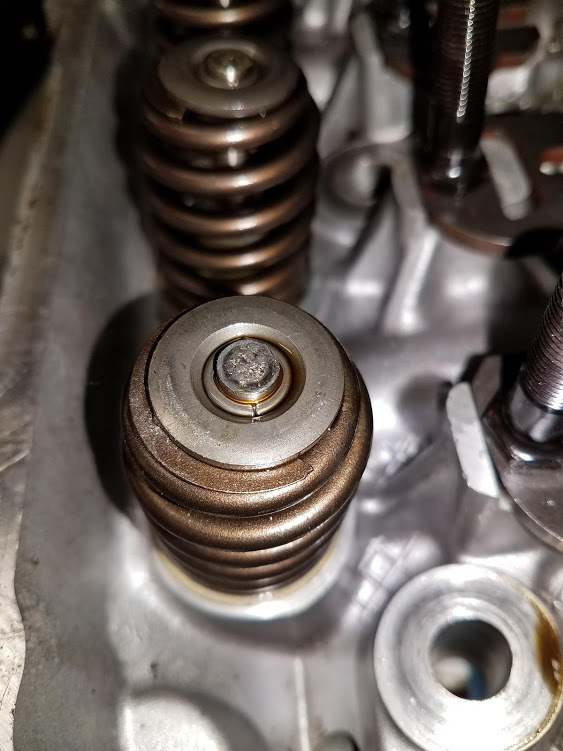 So what caused the engine to drop a valve in the first place? Defective/substandard part? Possibly, but these are high end parts and there were other things wrong. Pressing one of these valves in a vice against an OEM valve (I still have them, I don’t know why) indicates they are the same hardness and strength. They both left identical dents in each other. If one were softer it would get a bigger dent. Springs bad? Nope – they test out fine. There is no indication of valve float in videos or data logs. Also, with this engine limited to under 6000 rpm it would be unlikely to occur anyway. No bent push rods. No wear on the cam shaft. Lifters appear OK and all 12 would have to be bad in the same way to exbit the symptoms below. (Although I am replacing them anyway as a matter of course). Rockers are also fine. 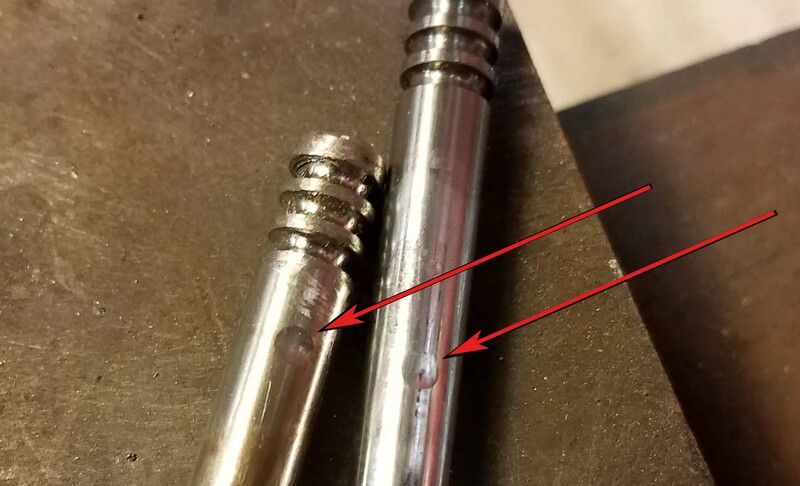 There are four signs of trouble (other than the gaping hole in cylinder #3): 1 - As noted in an entry earlier all 12 valve stem tips are mushroomed, pitted and worn after only one year of use. The wear is equal on all of them (even the broken one). 2 – The valve guides are excessively worn with the exhaust valves waggling around about 1/10” of an inch or more. The wear is not symmetrical and the guides are oval shaped. The intakes are not as bad but are also worn. 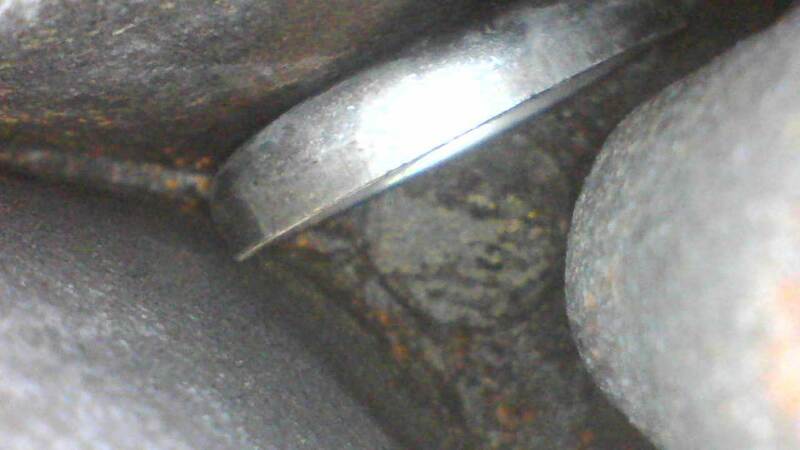 3 – The exhaust seats are dished out from the wobbling exhaust valves banging into them at every angle except the correct one. 4 – The valve train was very noisy with a lot of clicking and clacking. After a lot of reading I believe the proper terminology is “uncontrolled valve movement”. In this case cause by too much lash and rockers offset from the valve tips. 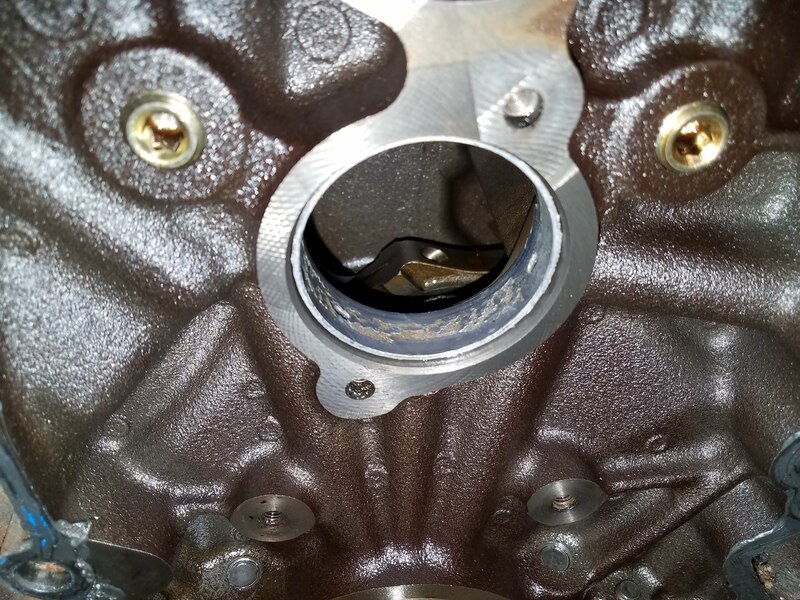 Too much lash means the rocker slams into the top of the valve instead of gradually riding down on it with the curve of the camshaft lobe. Too much lash means the valve slams closed against the seat too soon instead of riding that graceful cam lobe closed. 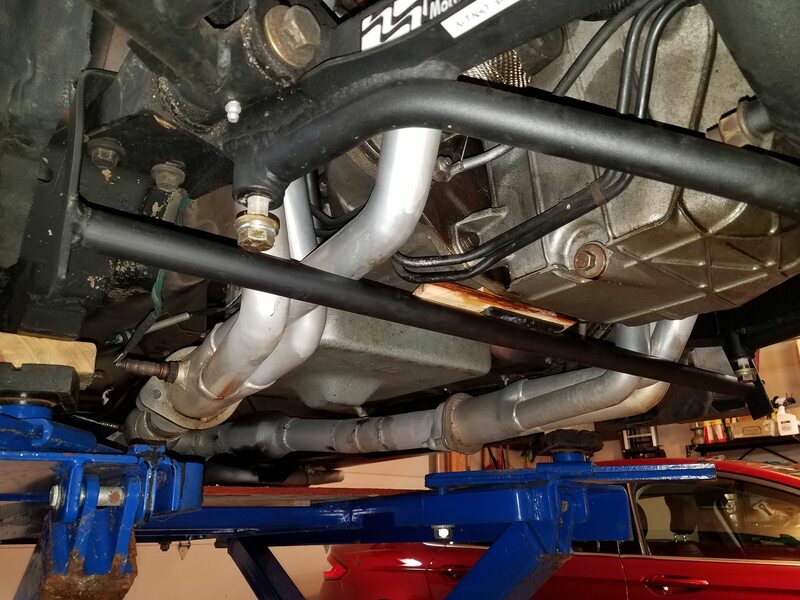 Think about it – All that tapping clacking noise can be heard from inside a metal housing, over the other machine noises, over the whooshing of belts and rumble of exhaust. There be elves with big hammers in there banging on some very small parts. They pound each part at 50 to 100 times per second. The valve train was set up exactly per Comp CAM directions (1/2 half turn from contact with the rod and all that). I have learned that a noisy valve trains with hydraulic lifters are a bad thing unless you intend to tear down the engine every so often. There is a lot of bad advice out there on the webbernet on this subject. Mostly the problem comes from people not giving context to their information. For example - “A noisy engine is a happy engine” à Yeah but only with solid lifters. A noisy engine with hydraulic lifters is likely headed for trouble. I think there is a progression to this failure. Part 1 - In 2016 I replaced the cam, push rods, rockers & springs on the original heads (a description of this work is in an earlier article). The valve train was noisy after this. Power was increased and there was joy and acceleration. I did not understand that the extra noise was not a good thing with this engine. Part 2 - In 2017 I replaced the heads & intakes with ported versions and put the same valve train back on it. Key Point: There was no damage to the valve tips at this time after a year of noisy service. The valve train was still noisy but this was the new normal. There was more joy and more acceleration. With solid lifters the lash is set up with a little gap to allow for expansion. If this done just right the engine can make a little more power. Obviously, a little gap, a little noise, can be tolerable. However, too much lash and things start to happen. The new heads were most assuredly planed to flatten them meaning they were shorter than the original ones. 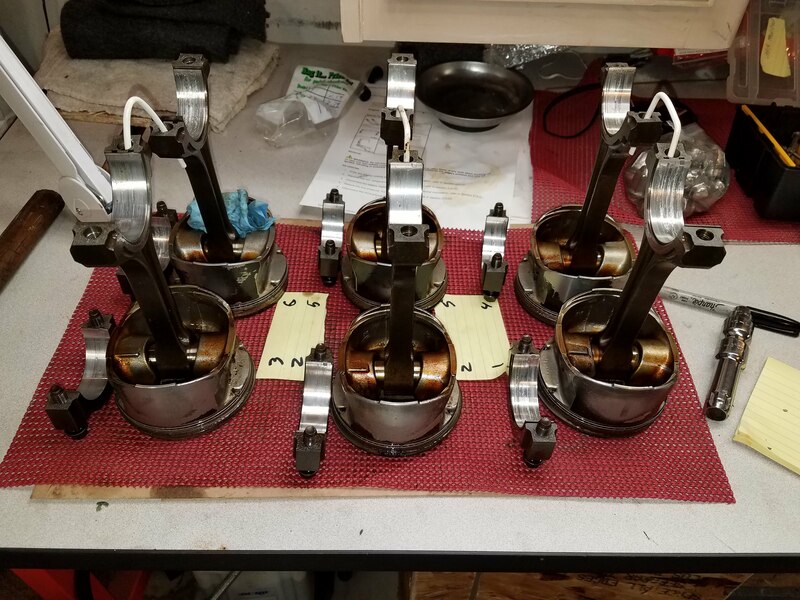 I did not change the push rods so it is very likely they were offset on the valve tips (new push rod length checker just arrived from Summit – I can be taught). Also, all of this work was done with the engine in the car. It is hard to get your nose close enough to see exactly what is going on in there. I believe there were two problems: The lash was excessive. If you watch enough mechanic videos setting lash you will hear some of them say there may need to be further adjustment at times after that initial 1/2 turn (some even say you might have to go with 3/4 turn). Also the new heads offset the rockers on the valve tips causing offset loads on the guides increasing wear. As the guides and seats wore the valves started moving about. Set up was lost. So why was the initial lash excessive? Why was it noisy even after the 1/2 turn set up? I am not sure. 1 – Study & plan, study & plan. 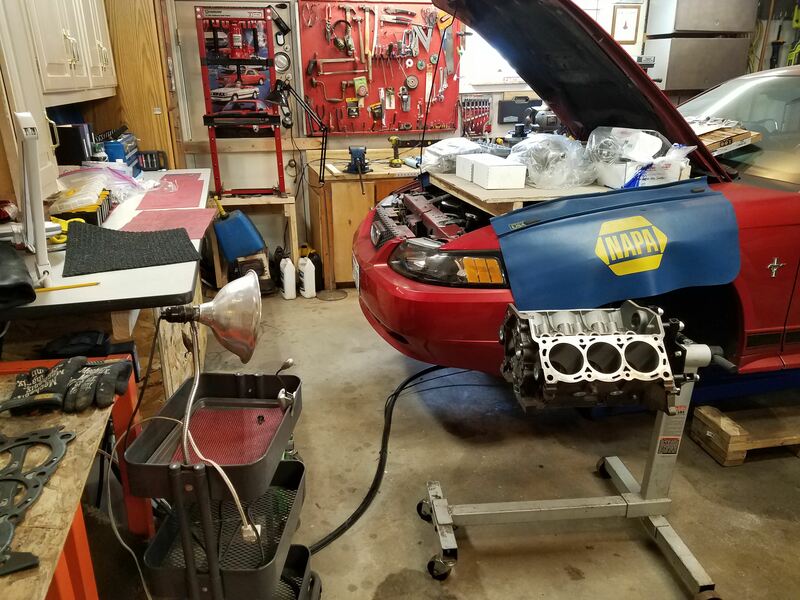 2 - Engine is being rebuilt out of the car so I can see what I am doing better. 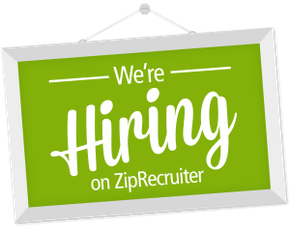 3 – I will have a good friend who does this stuff for a living look over my shoulder at some critical points. 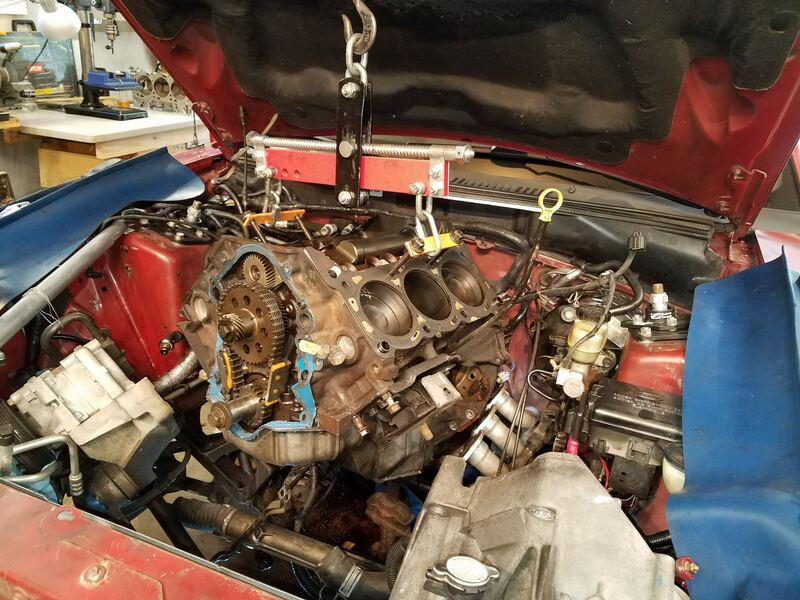 4 – If it is noisy again I will fabricate open top rocker covers to observe what is going on with the engine running and make hot adjustments if needed. 5 – I will do deeper inspections after each season. No fear of pulling the engine if needed. Frankly that was not that hard. It’s a race car dammit! 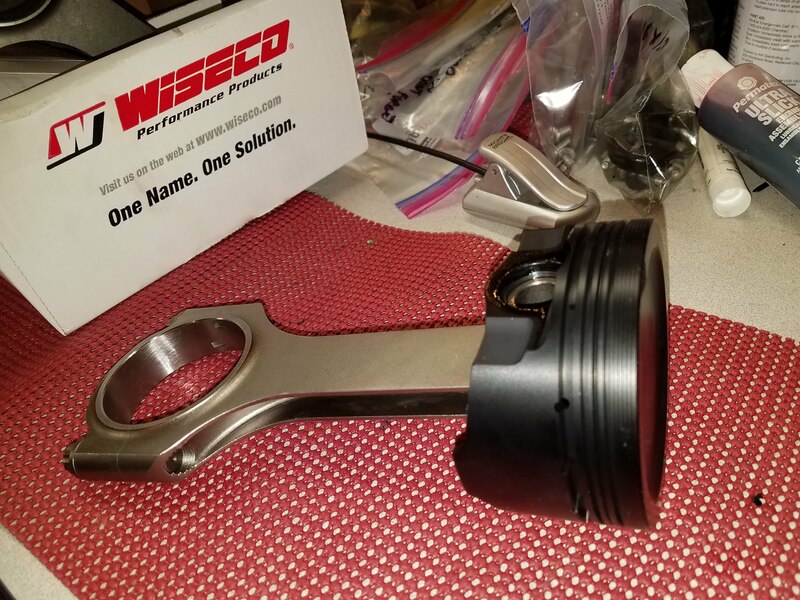 Pistons finally arrived this week. They were late because the anodized coating was missed and then they ran into the holidays. I took a trip out to Hortonville, WI to a company to have them dry ice blast the front engine cover. It is dirty from sitting on the front of the engine for years and is difficult to clean because of its convoluted shape. They will be able to clean it without damage but I have to wait until they get a bigger blasting job for the ice (month or so...). Then my wife and I drove down to the shop where the machining and balancing will be done (now that I had all the parts). Nice drive in the country, it is pretty here. Over here we have a Chrysler marine V8 that was not drained properly for winter and cracked in a couple of spots. We are using Lock-n-Stitch pins to repair the cracks. Here we are hydro testing an old Ford four cylinder block (very old). The engines in this era had porosity issues. 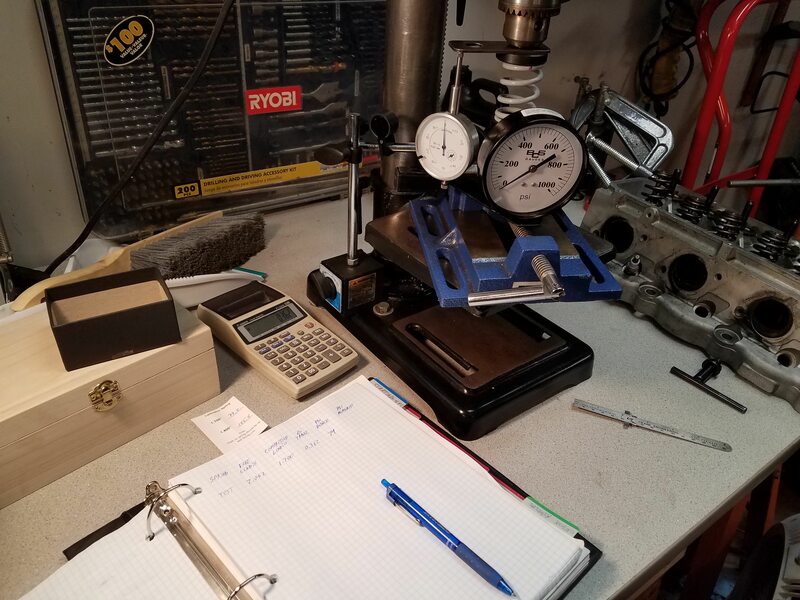 The crank shaft balancer set up for balancing a tiny crank shaft for Briggs & Stratton powered racing cart. This is the cylinder head and block for a V12 Lamborghini Countach. The water passages are all corroded because they apparently used plain water in it. The cylinder sleeves stick up above the block into the head. We had to heat the entire block in the oven to expand it and remove them so we can re-deck it (cute little rusty cylinders not much bigger than tall beer cans... many of them). And so on. They have an engine dyno in the back, ovens, washers and everything they need to build just about any engine, from any era that will fit in the door. They also do alternators, hydraulic hoses etc. All in this unobtrusive, nondescript little building in Manitowoc, WI. 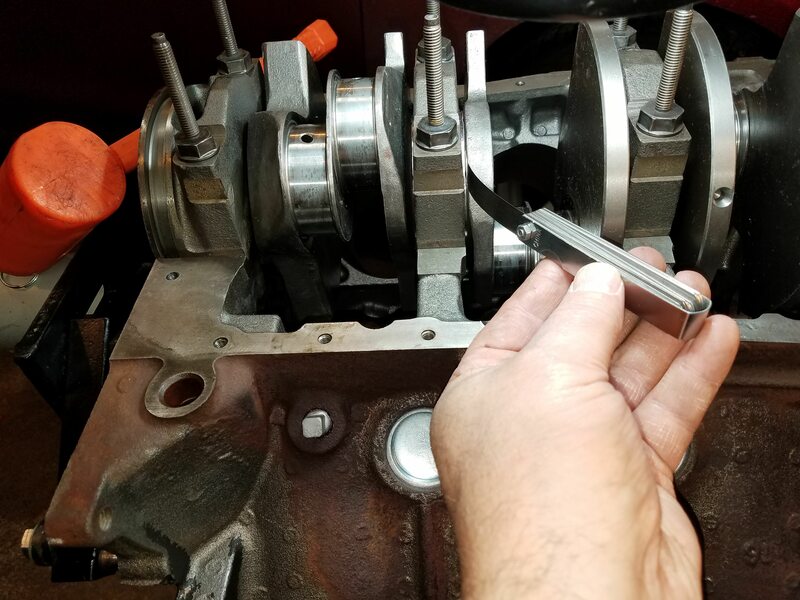 Even though my engine is internally balanced they wanted all the parts that touch the crank from the harmonic balancer to the flex plate and fasteners. They will run the final balance on the full spinning assembly with "bob weights" to simulate the pistons & rods. The block will get bored out 0.020 oversized to fit the new pistons. The deck will get cleaned up. Rotating assembly (pistons/rods/crank, etc.) will get balanced. Plug the oil galleries for the upper balance shaft (won't be reinstalled - saves weight up front and a couple of HP). Clean up the old cylinder head, replace valve guides and possibly seats as needed. Full valve job. I will do all the reassembly. It will take a month or so to complete due to backlog (gotta get that Lambo out the door first I guess). In the mean time I can give Mistress a brake job and things are getting busy at work again anyway. And now all parts are here except head gaskets. I wanted to wait on those to see if the shop decked the head. They did not, it did not need it. If they had taken much off the top I might have to go with a thicker head gasket to keep the compression ratio in the 93 octane range. The parts are staged for assembly, the block is on the stand, specs and manual printed out, ring gap grinder arrives from Summit tomorrow. Space is tight in my garage so I fitted Mistress with a shelf over the engine bay to stage parts (not using it for anything else right now). A four foot x 32"sheet of OSB fits perfectly. Put a proper countertop in there with a sink and it would make a great wet bar. It is reinforced with 2 x 4 at below the front and above the back which makes it almost level. This engine will now be a 4.2 ltr Stroker. As noted in earlier posts it will be fully set up for forced induction if I should choose to go that route. I can’t wait to get this thing back on the road! Signed up for CAM Nationals in Peru, Indiana in August already! Signed up for CAM Nationals in Peru, Indiana in August already! Good update! Hope to see you there. 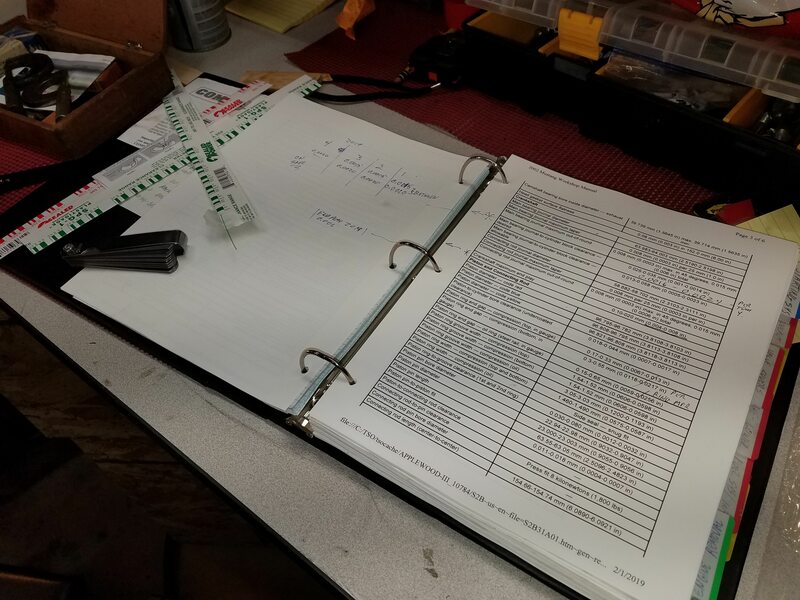 Thanks for sharing the details of your troubleshooting - lots of thought goes into this work, and that's often hard to document, but you're doing a great job. Slight digression: you mentioned that there was no evidence of valve float in your data logs. 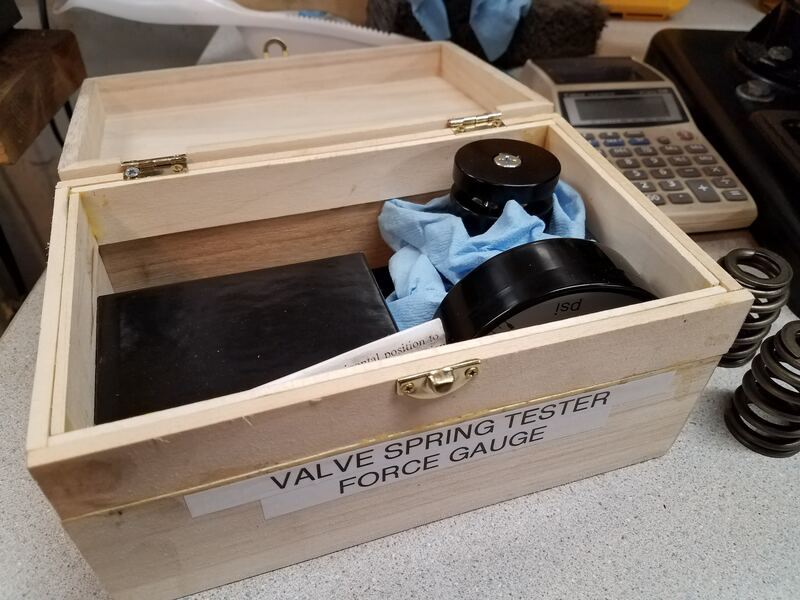 Can you share what you'd expect to see in a data log that might indicate valve float? 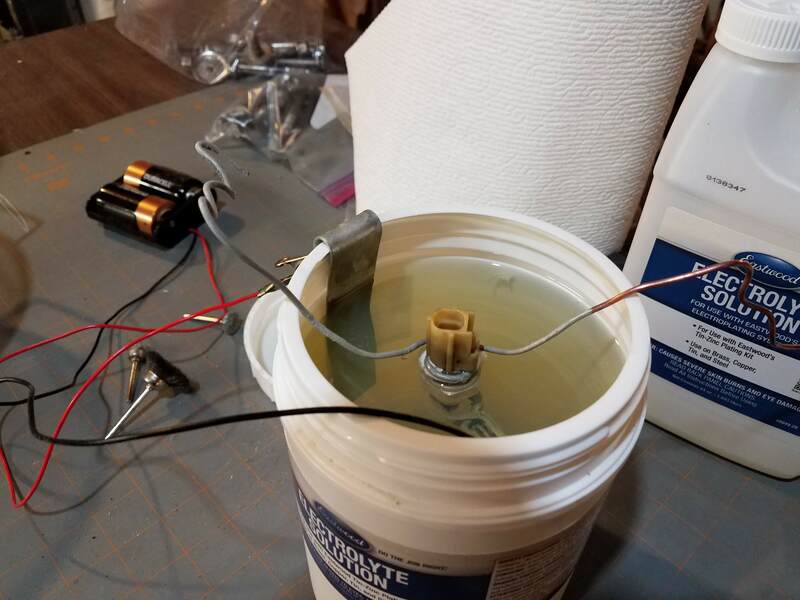 I have an idea what it sounds like and feels like...but I want to use data to see if I can derive the RPM where valve float actually occurs in my engine. Gumby -See you there! I looked you up - That is one badass truck! One primary source of data is, of course, your in car video. You can find several videos on line of a car experiencing valve float. At high RPM the engine sounds like it is missing a cylinder or two. The smooth rise in RPM is interrupted by by a rougher sound that does not continue to rise as expected with the accelerator. I have never heard my car doing this even after going back and listening to many videos. But you asked about hard data. Having not experienced it I can not be certain but this is what I would expect to see (bear with me I will get to it...). In a "perfect" autocross launch you should limit wheel spin to a half to one turn or two (depending on who you are talking to) . As training, when I go back an analyze the logs I look for excessive wheel spin at launch. You can see it easily in the charts. In a proper launch throttle position, RPMs, and speed all rise roughly together and predictably in that first two seconds. Excessive wheel spin shows up as RPMs rising much quicker than throttle and speed and then either dropping back down (if you were pedaling trying to control it) or the other two catch up at the 3 or 4 second point. I expect valve float (and perhaps a few other issues) will be similar in that RPM is not following other data. This time - at high RPM & increasing throttle the the RPM does not continue on the same predictable curve it was on a moment earlier. A little bit like hitting a rev limiter but not nearly as extreme. At this RPM (and above if it can get there) the engine can't breath any deeper. Normally RPM/Power/Throttle/MAF and so on should all flow in nice arcs up and down roughly together. A divergence between those parameters at high RPM is what I would look for in the data logs. I use a simple logging set up. Solo Storm on my cell phone recording from the harness bar. Works great. However, it is geared directly to driving so it is a a fairly limited on secondary data. Once in a while I will use the OBD Link app instead and log all sorts of other conditions just to see how the rest of the car is doing. Still one of my favorite threads here. 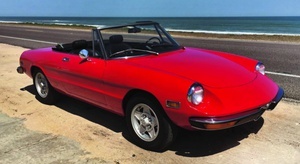 Buy car, drive for years as regular car. 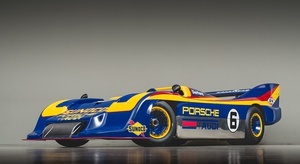 Love car, make it a racecar, make it right and make use of what it is as delivered, no engine swaps or tube chassis-body swaps, party. Great plan and your execution is very well documented. Party on. Thanks barefootskater! hey everyone - he gets it!! Before starting actual work I was standing in the cold garage one evening just looking and planning and I turned the block over on the stand. Something went “clink” inside the block. – What the hell! This is a solid piece of metal; it should not “clink”. It should not make any sound at all! 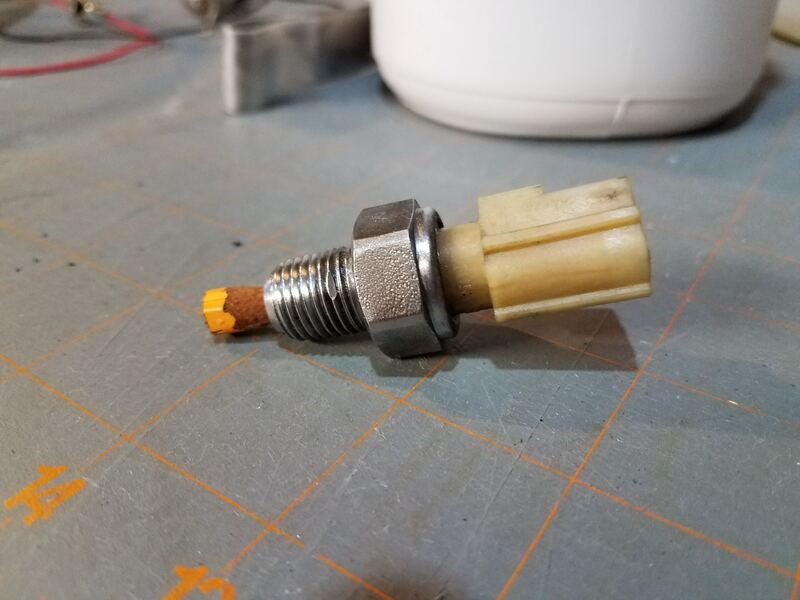 The machine shop had inadvertently left a core plug in a water cavity. Some trolling on the webbernet as to whether it should stay or go yielded inconclusive results. Theoretically it could stay in there forever and be of no consequence. 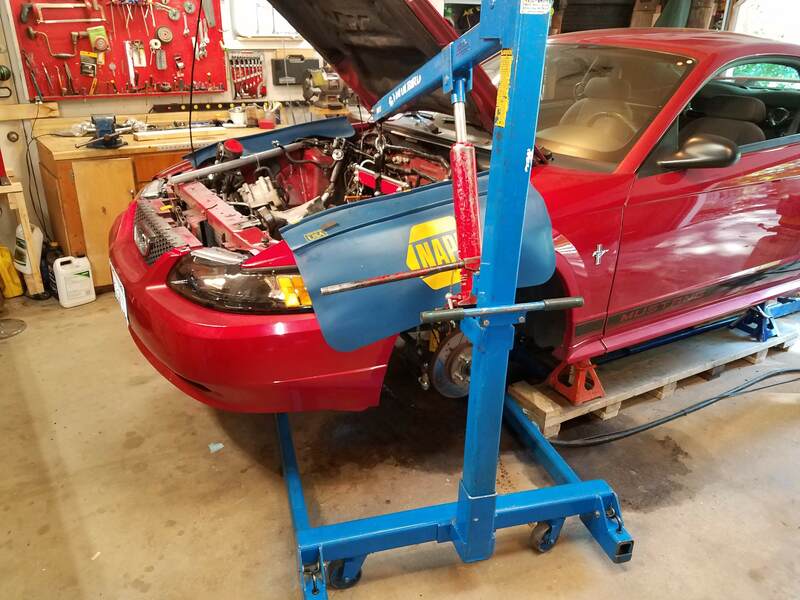 However, some poking around with the boroscope indicated it could migrate around between cylinders and eventually block the coolant outlet. Unlikely but catastrophic if it happened. Tom at Super Six indicated that it had to come out but I had already decided I was not going to leave the thing in there and risk overheating problems. A note to the shop was quickly returned with an apology and offer to remove it or send a new plug if I removed it. I removed a newly installed plug and worked the artifact out of the block. It was not easy since it was an original plug made of stainless steel. Magnets not helpful in extraction. A new plug came in the mail and that little incident is over. A few nights later I had the torpedo heater going in the garage. 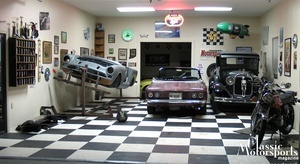 I have been watching YouTube videos from Pete’s Hotrod Garage. Very good, professional and informative. He is a professional builder doing very high end work and he covers a lot of details a novice builder like me might miss. In the crankshaft installation video he makes a point to talk about cleanliness when putting these things together. I methodically blew out all the oil passages in the block and crank. I inspected my bearings for flaws as instructed, wiped everything down with lint free cloth, installed the journal bearings and put a thin film of assembly lube on them. Then I set about to do a final cleaning on the crank. As I was preparing to drop the crank into the block I noticed that the assembly lube in the bearings was now full of tiny bubbles. – What the hell this is not beer! Everything is soaking wet! As the garage warmed up on this cold damp evening water was condensing out on the cold steel of the block and crank. It happened very quickly once the right temperature combination was reached. This would be an ongoing problem in this weather and would lead to flash rust on everything. 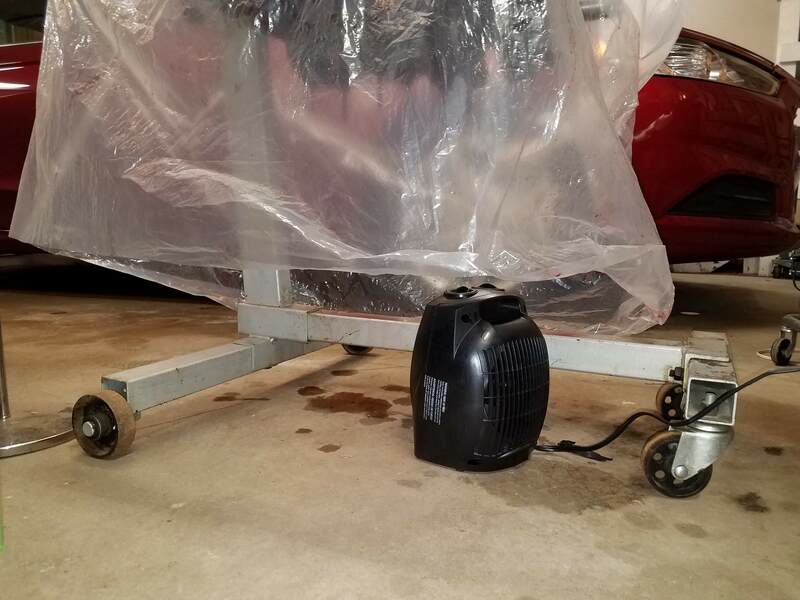 I can’t keep the garage warm 24/7 so I sprayed everything down with WD-40 (that is what it was actually made for) and put my trusty garage hair dryer on the crank and bearing caps (Every shop in the north needs a hair dryer – really). I then ran out to the hardware and bought a cheap 1500 watt electric heater. With the heater on the floor the heat rises up into the dust bag covering the engine. On low (750 watts) it keeps the block about 25 degrees warmer than the garage. At 8.5 cents per kw/hr this costs about $1.50 per day. Well worth it. This arrangement has successfully kept the engine clean and dry through temperature changes in the garage for over a week now. I can warm it up to work with no fear of everything suddenly getting wet. The next evening I preceded to install the crank. Since all parts are new I checked clearances with Plastic Gauge. I am impressed with the precision of the new bearings and crank. 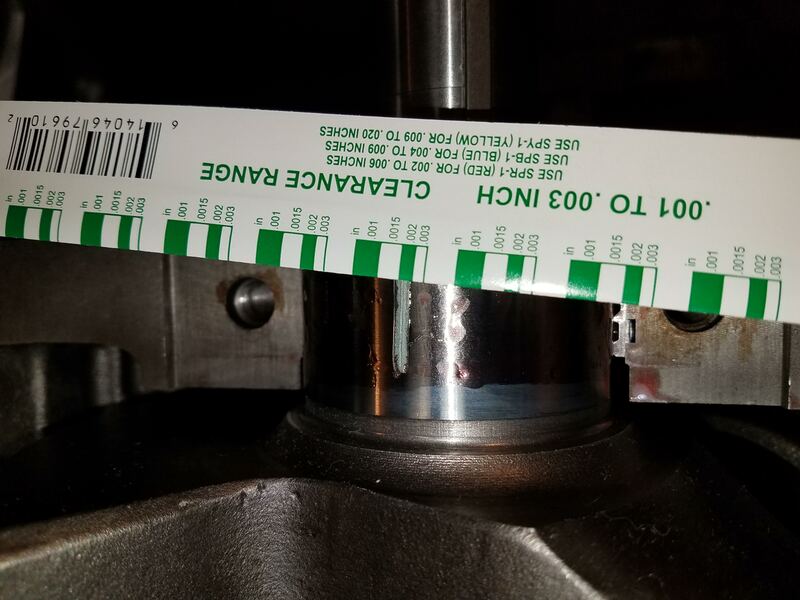 All four journals were between .0015” and .002”. 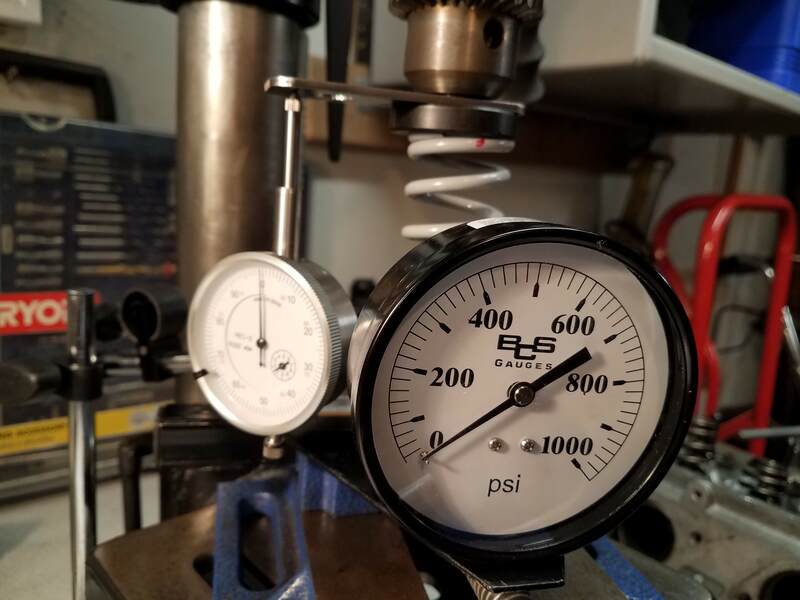 End play was 0.006” All precisely on spec! It gives one a little faith! 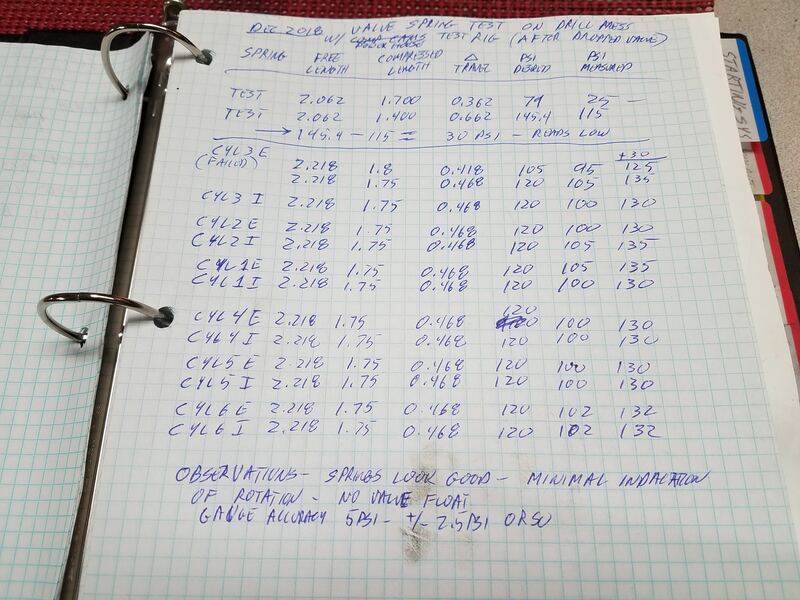 All of this was dutifully recorded in my engine book on the appropriate pages as well as the make and model number of the journal bearings, camshaft bearings, etc. The camshaft (which I had taken into the house) was then easily installed except for one little thing. I should have done it first as instructed in the manual. Once the crank is installed it is much harder to clean the bearings and guide the thing in there. I read the directions but did not follow them. I am an engineer, I should know better… really. Live and, sometimes, learn. Man I applaud your attention to detail. It will pay off fore sure. Love this build and have been following from the beginning. It's awesome seeing someone do something so "wrong", a V6 CAM car, yet so right, with a proper engine build and methodical autocross tuning. 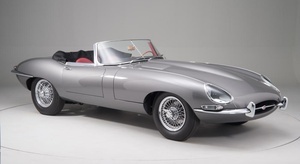 Plus that is my wife' first car right down to the year, make, model, engine, and paint, so when I read your updates I think to myself "so this is what could have been". Hope you're back racing in no time. Fantastic work, and the methodology behind your actions is impressive, too. 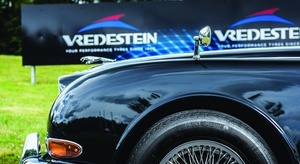 OjaiM5, maschinenbau & wheelsmithy – Thank you all for you kind words. I am enjoying doing this and I am glad someone else is enjoying it also. Thanks.